Another in our series of off-the-beaten-track gems, Papakolea (Green Sand Beach), Hawaii is a great hike and great beach. 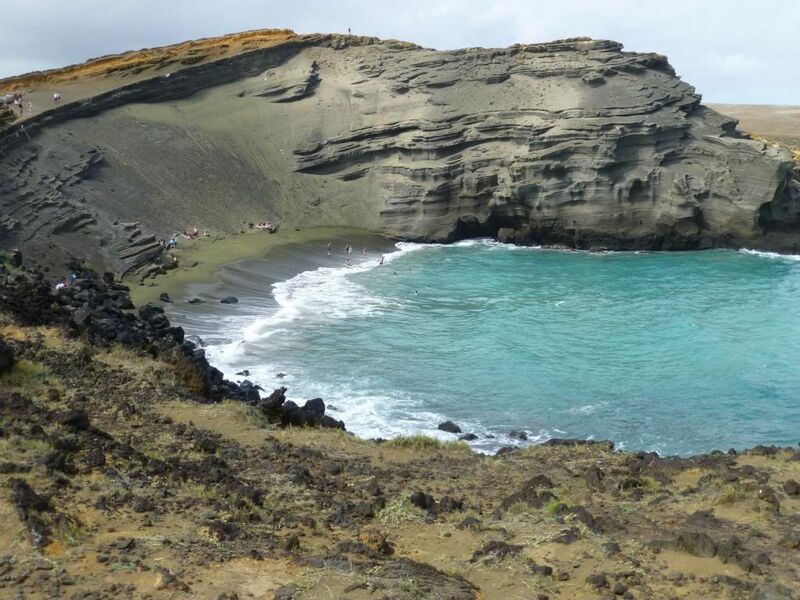 One of only two green sand beaches in the world, the color is from the olivine crystals which have eroded from the basalt (lava) flows in the cinder cone. This remote beach is reached by a 2.5 mile hike from the southernmost tip of the Big Island (and it happens to be the southernmost point in the United States as well). It’s a dusty, hot hike with tradewinds blowing, so if you’re not up to it, take our insider tip and catch a ride with one of the friendly locals driving their 4WD trucks or suburbans.